“We were depending on considerable assistance from the insurrectionists in France. Throughout France the Free French had been of inestimable value in the campaign. This story begins in Normandy, France, where Dany Patrix and other survivors of the D-Day invasion share personal reflections and untold stories of living under German occupation and being liberated by Allied forces in World War II. 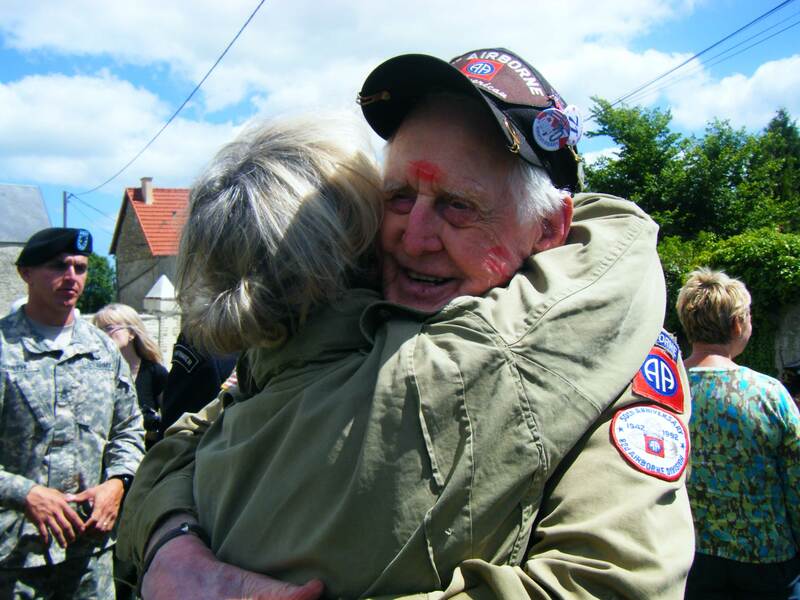 We follow Dany from her first interaction with an American soldier on D-Day, to her current experiences of thanking World War II veterans and their modern-day replacements. Maurice Lecouer, Henri-Jean Renaud, and others recount how the relationship between soldier and citizen grew from an initial wariness to an eternal bond that has been passed down for generations. 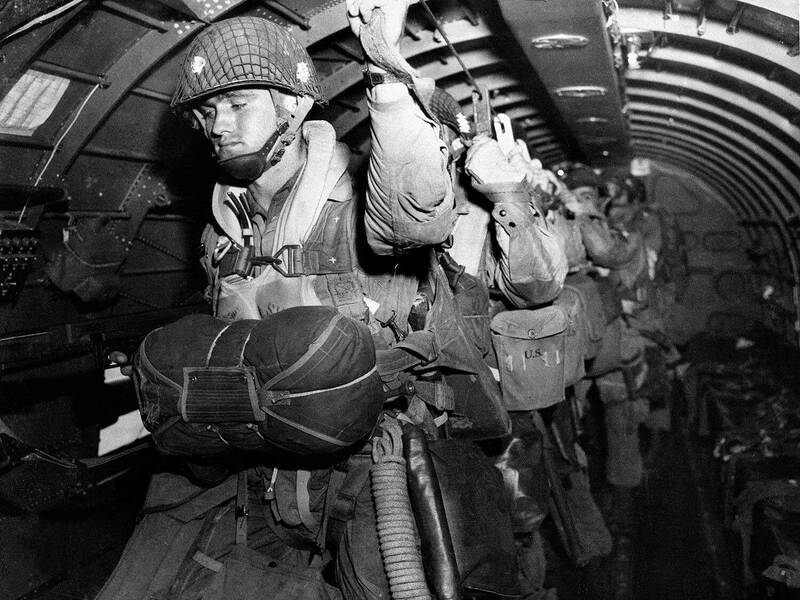 We visit Brecourt Manor, the site of a the battle between the men of Easy Company — known as the Band of Brothers — and a German battery. 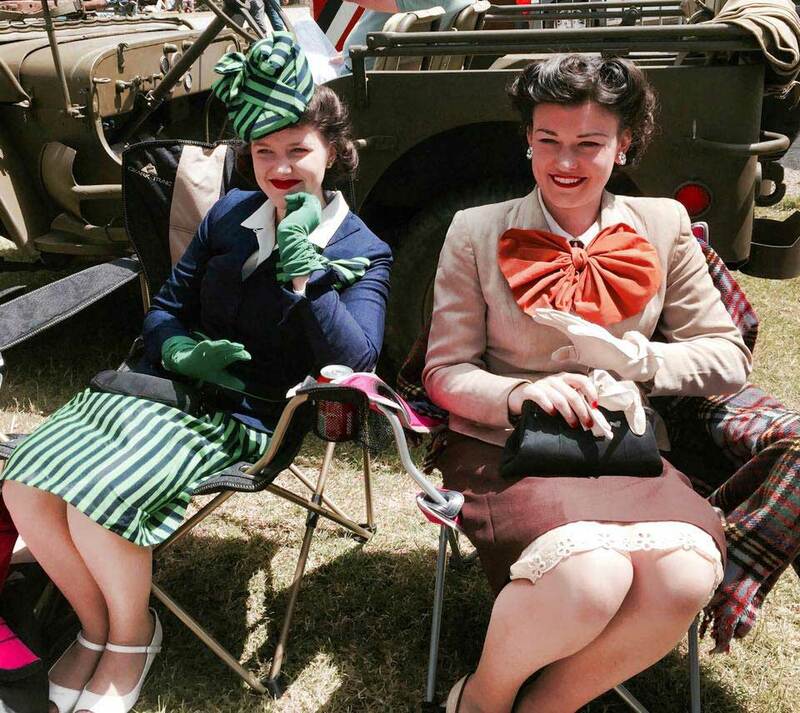 We watch re-enactments of historical events and witness WWII veterans visiting Normandy for the first time since the war. Normandy is a living war museum, with shrapnel on the beaches, bullet-holed walls, and blood-stained pews. Normans have vowed to never forget the lessons of WWII and the value of freedom. This story closes on D-Day celebrations of remembrance and gratitude where young and old French citizens celebrate those who are willing to defend freedom, because they, the people of Normandy, know that freedom is not free. Luckily, Christian had asked Danielle, Dany, Patrix, a childhood survivor of D-Day. Dany became The Girl Who Wore Freedom when her mother made her a dress from parachutes, which she wore to honor Allied forces at the first D-Day commemoration. Danielle introduced Christian to other survivors and families of survivors, who shared personal stories, memories, and artifacts of the occupation and liberation that are passed down through generations. Their stories underscore the damage caused by tyranny and the true meaning of freedom. 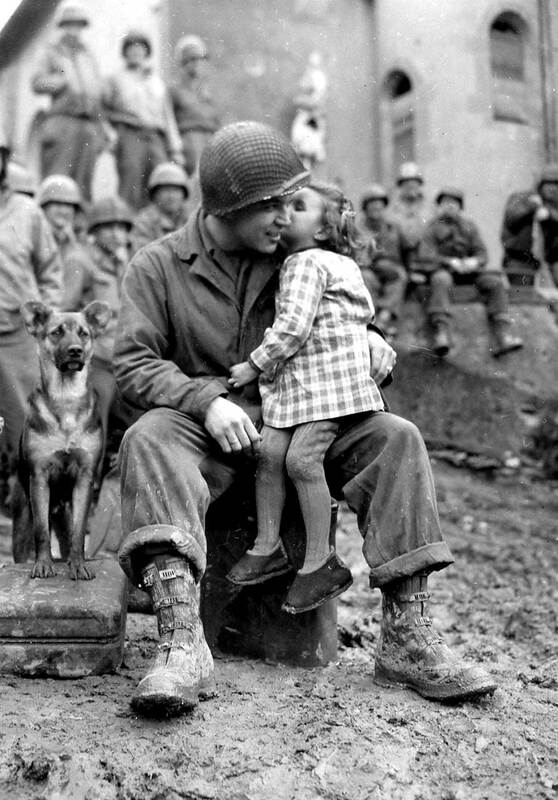 Their efforts to keep the memories alive, through yearly D-Day celebrations and personal relationships, illustrate the transformative power of love and gratitude for citizen and soldier alike. The Girl Who Wore Freedom reminds Americans and the world of how America is perceived when she is at her best: when she values people over politics, seeks to right wrongs of injustice, and sacrifices, when necessary, so others might be free. The film is a timely reminder to do as the French say — “Never forget.” Never forget what we can be when we are true to our deepest values. This docu-drama will implement re-enactments to complement the heroic stories of the survivors and veterans of the occupation and the time leading up to the invasion and liberation of Normandy. The visuals of the interviews will consist of dramatic backdrops, as in the interviews in HBO’s “Band of Brothers,” museum locations, homes and on-location scenes consisting of beaches, battle locations and memorials. The decision will be based on the context of the interviews. Dramatic Color Grading and Correction. For final format we plan on a 4K 2.35 cinematic ratio for the greatest emotional and theatrical effect.